To be honest, those "secondary pillars" actually looks like a parhelions with Lowitz arcs :))). if the sun was under the horizon, the to secondary pillars might be the subparhelias, just over the horizon. 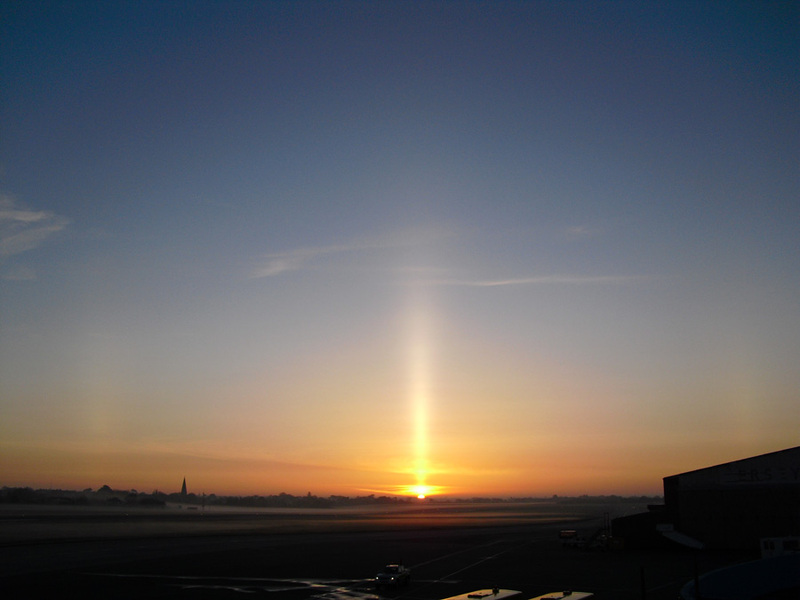 that can be a good explanation since the sunpillar has the same brightnes as the subsun. I think there might be more to these "parhelion flares". Some forms still defy thorough explanation. even is the sun is above horizon, the pillars can be subparhelia. subsun becomes sun pillar when the crystals have large tilts. the same is true for subparhelia. they become long parhelia pillars when the crystals have large tilts. That's good idea Nicolas. This would the first time to see superparhelia with sun. When sun is below the horizon, we have seen thus far only pillar and tangent arc. But I still think coming up with convincing simulation is not easy.